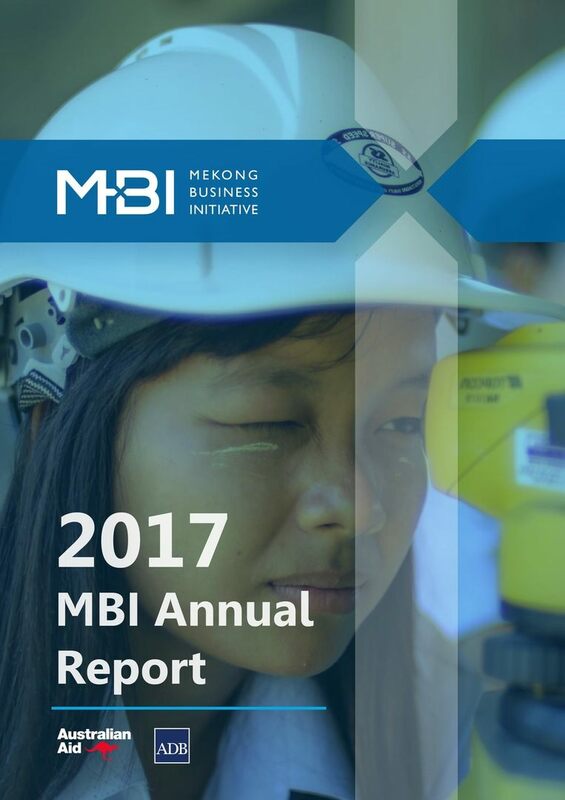 The Mekong Business Initiative (MBI) was launched by the Asian Development Bank (ADB) and the Australian Government in early 2015 to catalyze private sector development through improvements in the business enabling environments of emerging ASEAN markets in the Greater Mekong Subregion (Cambodia, Lao People’s Democratic Republic (Lao PDR), Myanmar, and Viet Nam – collectively ASEAN-4 or CLMV). MBI targets its activities across three pillars: improved public/private dialogue on private sector development (PSD) polices and regulations (business advocacy), supporting a more robust financing environment (access to finance), and a more dynamic innovation ecosystem (support for innovation). To implement its programs, MBI collaborates strategically with business groups representing small and medium enterprises (SMEs), young entrepreneurs, and women-owned businesses (WOBs). MBI tracks its impact by the number of companies registered in CLMV and the percentage of SMEs in CLMV that export. Available data indicates CLMV is on track to meet MBI’s target of 900,000 companies registered by the end of 20181 while the 2018 target of 39% of SMEs in CLMV exporting is expected to be delayed.2 Although overall exports by SMEs have increased in absolute terms, they have done so at a slower rate than that of foreign direct investment (and overall), resulting in a decreased percentage since the baseline.